Crossfit Movements & Technique Tips The importance of Sleep in CrossFit. As most of you know but perhaps some of you don’t, and hence why I’m writing this Blog, I’m extremely passionate about the health of the Pelvic Floor Muscle in both the girls and boys. But this is going to be for all the Mums out there. What concerns me sometimes is posts in the media glorifying female athletes and there come back after having a baby and the normalization of issues like incontinence or just LBL (light bladder leakage), and an acceptance or, a mindset, that this is just how it is. Oops you’re a mum now, get used to wetting yourself when exercising because that’s just what happens. NOOOOOOOOOO!!!!!!!!! All of you mums out there who are juggling mum duties and exercise are SUPER MUMS!!!!!!! There is no need to rush. I feel there is a need to help our post partum mums return to exercise, activity and sport in a way that helps them recover and which supports then both short term and long term. Your body needs 6 months to recover from pregnancy & birth, and to be fully restored to pre-pregnancy physiology. If you are breastfeeding – extend this time frame for as long as you continue to breastfeed. In very simple term if you likened it to a sprained ankle and you continued to run on a sprain, things would not improve. In fact they’d get worse. SUI – stress induced incontinence is then a very real thing and mothers accept it as normal and seek no help. Women with persistent SUI at 3 months post partum have a risk of still having it 5 years later. It’s always best to check in with a specialist like a women’s health Physiotherapist. 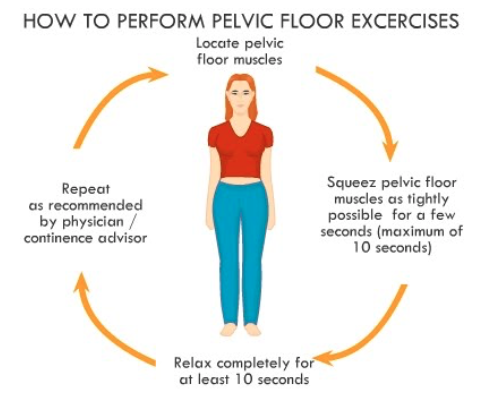 Clinical exercises and pelvic floor rehab is the best way to return to activity, exercise and sport. In the early days avoid the exercises that cause you to run to the toilet or have leaking. Aim to regain strength in the muscular tissues not only of pelvic floor but also through your abdomen and core. To identify your pelvic floor muscles stop urination midstream. Take this feeling then use it to perfect your technique and get stronger. Start by holding the contraction for 5-10 seconds then relax. Work towards 5-10 reps of this 10 second hold and release. Pick a time in the day that will help you to remember to do these, like when you are in the car or on the train going to and from work.